Actress Ellen Burstyn attends the 66th Annual Primetime Emmy Awards held at Nokia Theatre L.A. Live on August 25, 2014 in Los Angeles, California. Ellen Burstyn made a luxurious statement with this massive diamond collar necklace. 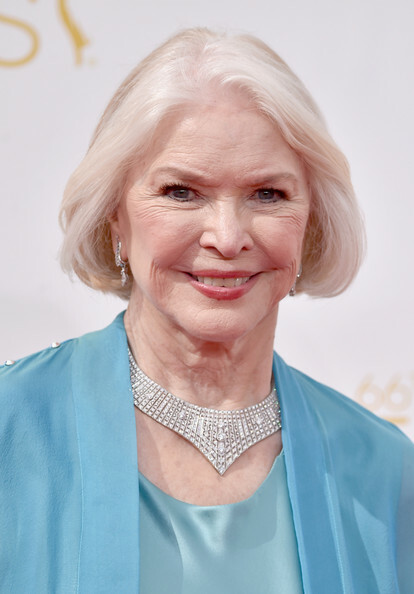 Ellen Burstyn kept it classic with this neat bob at the Emmys.